Tacoma, Wash. – March 29, 2017 – General Plastics Manufacturing Company, a recognized supplier of high-performance rigid and flexible foams and build-to-print parts to the aerospace industry, is looking forward to being a part of the Washington State Department of Commerce delegation at the 2017 Aircraft Interiors Expo in Hamburg, Germany, April 4-6. The company will showcase its lightweight, flame-retardant LAST-A-FOAM® rigid foam sheets and blocks, its rigid and flexible foam molded parts and its flammability testing services. General Plastics will be exhibiting at Booth 6070/F in the Hanse Pavilion. 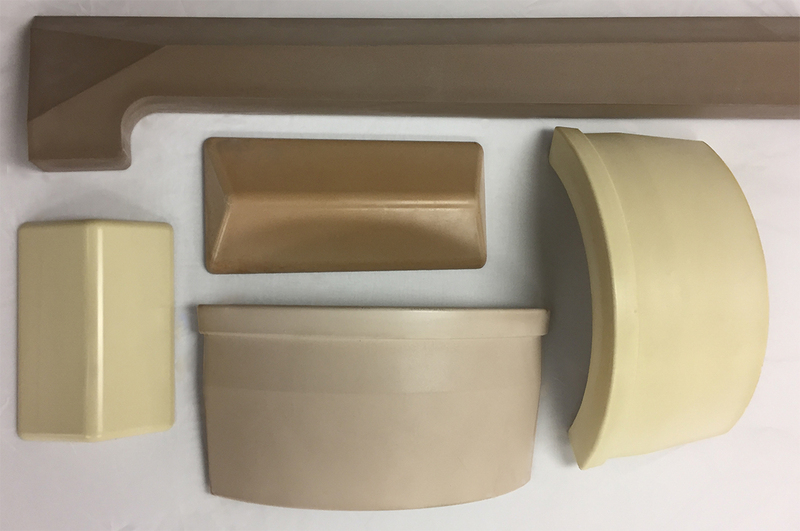 Visitors to General Plastics’ booth will be able to view examples of finished products made with the company’s signature LAST-A-FOAM® for aerospace interior applications. Thanks to their unique chemical formulas, these products are exceptionally uniform and consistent in all physical properties, as well as strong, durable and versatile. The wide spectrum of foam products and densities accommodates customers’ diverse application specifications, including tooling and panel cores. General Plastics’ lightweight, FST/OSU-compliant FR-3800 FST rigid foams satisfy concurrent requirements for physical properties, fire safety, design flexibility and cost efficiency. This halogen-free foam series – along with LAST-A-FOAM® FR-4700 (for applications with peak temperatures up to 400°F) and FR-6700, which complies with aerospace specifications – are also supplied as complex molded or cast parts. This rigid, self-skinning foam can be shaped based on customers’ requirements, including specifications on texture and color. 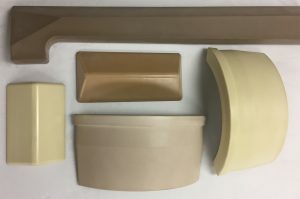 In addition to rigid foam sheets, blocks and molded parts, General Plastics produces custom molded parts manufactured from flame-retardant, self-extinguishing and self-skinning flexible polyurethane foam materials. Typical molded parts include flight deck components, such as glare shields, HUD covers and kick strips, as well as bin-to-bin closeout seals, header seals and armrest pads. These are complemented by services which include design of parts and tools, manufacture of mold tooling, and end-to-end production of parts. General Plastics’ proven build-to-print capabilities and high-capacity production facilities enable it to scale production from small runs of specialty parts to ongoing, high-volume parts programs for OEMs and Tier 1 and Tier 2 aerospace suppliers. Representatives will be on hand at the booth to discuss these capabilities and provide expo attendees with a sense of General Plastics’ commitment to customer service, continuous improvement, problem solving and the aircraft interiors industry.